AND RESERVE YOUR BARTENDER TODAY! When it comes to providing impeccable bartending services, look no further than Tropical Twist Bartending! From private events to spectacular weddings, luau pool parties to corporate events, our team of professional bartenders has got you covered. 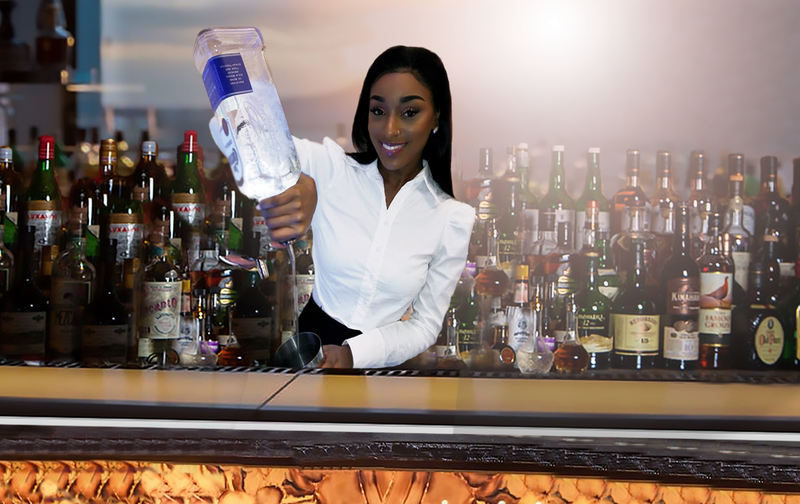 Not only are we certified to pour alcohol in select cities in the US, but our staff of exquisite and diverse bartenders are ready to ensure that your event is successful from the beginning to the end. So book your bartender with us, and let Tropical Twist Bartending add a little twist to your party! We loved having Tropical Twist bartending services at our event. Ashley and Gabriela did a great job tending to our guests and most of all it took the stress off us so we could enjoy mingling with our guests! It was a great night. Thank you Tropical Twist. Everything was as promised! Thanks! I recently used Tropical Twist Bartending for a corporate event in Alpharetta GA. Dwight and his staff were very responsive, accommodating and professional. They had some great recommendations to personalize cocktails for our group which made things all the more fun. I’d use Tropical Twist Bartending again anytime! Five stars without a doubt!